FGS is offering six guided research trips on Tuesday, August 20 to three of the most popular research repositories in Washington, DC. 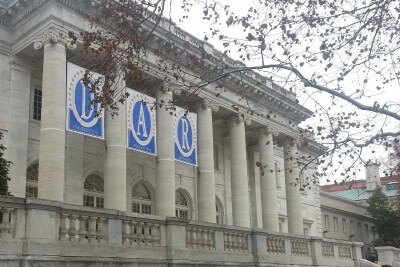 Choose morning or afternoon at the Library of Congress, the National Archives and Records Administration (NARA) or the Daughters of the American Revolution (DAR) Library. The $49 registration fee includes pre-arrival webinars, an online group meeting, transportation between the Omni Shoreham Hotel and the specific repository, and three hours onsite with an onsite repository expert. Tickets are limited so register for the conference early and reserve your seat for one of these great opportunities. ATTENTION: Registration is limited to ONE of the six pre-conference activities on Tuesday. You may not register for both a morning and an afternoon session. If you have wanted to research at a specialized collection of more than 225,000 books, thousands of manuscript items, massive numbers of family histories and genealogies, and papers of the members of the Daughters of the American Revolution, sign up now and start your research from home! Participants receive at-home access to instructive webinars and a group online meeting that help prepare them for research at the DAR Library. Onsite the group will ride a private bus from the Omni Shoreham to the DAR Library where library staff will provide an orientation to the facility. Participants will have independent research time before riding the bus back to the hotel. 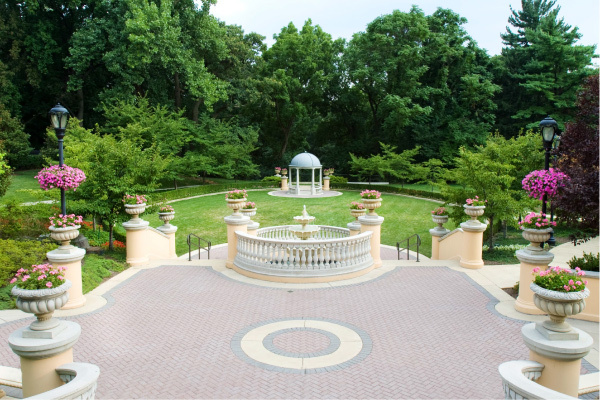 $49 fee includes webinars, online group meeting, transportation between the Omni Shoreham and the DAR Library, and three hours onsite at the DAR Library. 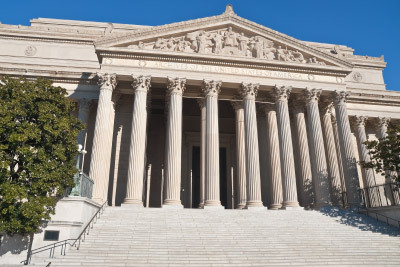 If you're a bit intimidated by your first visit to the National Archives and Records Administration (NARA) in downtown Washington, DC, prepare in advance at home and go with a group. This session begins at home with access to instructive webinars about NARA resources that are available only in Washington, such as military pension, land, and homestead files. An online group meeting helps you focus on a research project and prepare for a NARA visit. Onsite the group will travel on a chartered bus from the Omni Shoreham to NARA I for expedited issuance of a reader ID card and orientation by a staff member. Participants then have independent research time before returning to the hotel. $49 fee includes webinars, online group meeting, transportation between the Omni Shoreham and NARA, and three hours onsite at the National Archives. 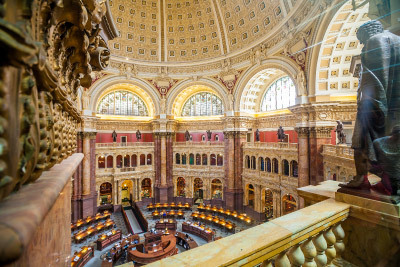 Discover the riches in Library of Congress (LC) collections such as genealogy and local history, maps and newspapers from around the world, manuscripts (diaries, personal and family papers), and more. This session begins at home with access to instructive webinars about resources at the LC and using the website to prepare for a visit. An online group meeting helps focus your research and prepare for the LC visit. Onsite a bus takes you from the Omni Shoreham to the LC where you'll receive an expedited reader ID card and an orientation to the library by staff members. You'll then have independent research time before returning on the bus to the hotel. $49 fee includes webinars, online group meeting, transportation between the Omni Shoreham and LC, and three hours onsite at the LC. 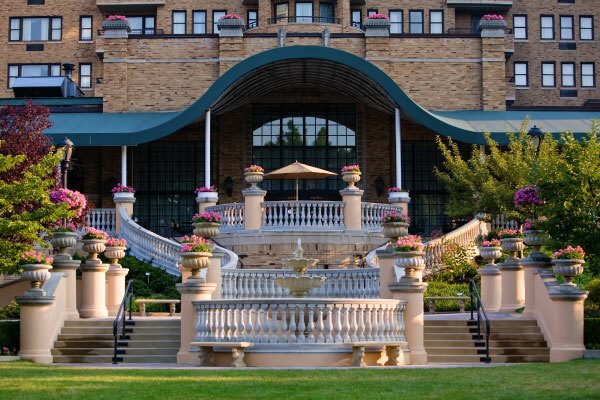 Experience the 1930s as we dine, dance, and socialize with our ancestors to the music of a live jazz/swing band in one of the historic Omni Shoreham’s beautiful ballrooms. Get inspired with accessories created in advance in the exhibit hall and be transported to another time and place at this vintage-themed event. Dress as your favorite 1900s-era ancestor or come as you are; this exceptional evening of nostalgia will be the talk of the conference!